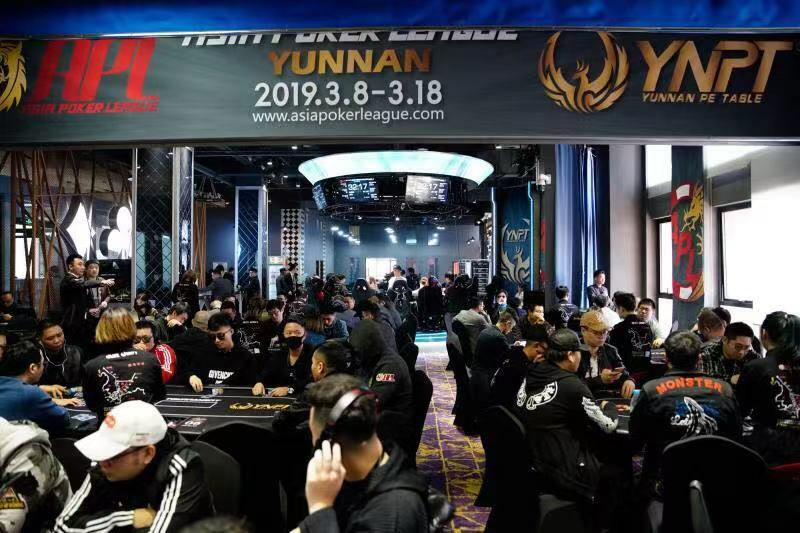 After an initial cancellation, the Asia Poker League Road Series Kunming Festival in Yunnan Province, China, had eventually kicked off with a 2-day delay on 10th March 2019 to the relief of everyone involved. 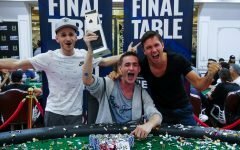 All scheduled events were held in the same order as originally planned and the postponement did not seem to dampen the excitement of players in the region as there were 1043 entries for the CNY 5,500 (USD 820) Main Event across four starting days, creating a total prize pool of CNY 5,736,500 (USD 857,000). 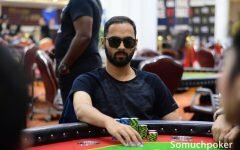 The remaining 130 players of the four Day 1s were combined on Day 2 and the bubble burst with Zhang Ze-Yu being the unlucky bubble boy. 113 players made it into the money for a min cash of CNY 7,700 (USD 1,150). 40 players returned to the Wilo Intelligent Transportation Hall to play down to the final table of 9. Amongst this crowd were still a few previous champions like Li Yan, Ji Xia-Qing, Kuan Yong-Bo and Yuan-Ye. Other notable players still in the race were Wang Jian-Feng, Sun Qing and Zhang Xiao-Jin (aka “Baby”). “Baby” eliminated the unfortunate final table bubble boy Yuan-Ye by cracking his pocket kings with a set of sixes and advanced to the final day as the chip leader with almost 2 million in chips. The all-Chinese final 9 returned on 16th March. Here is the seat draw for the fourth and last day of the main event. The previous day concluded with chip leader Zhang “Baby” Xiao-Jin’s fireworks and she was also the center of attention starting this day. “Baby” had run out of luck against the kings as it seems, losing twice in a row against KK and so becoming the short stack at the table. She finally got her last chips in the middle with JTo, which couldn’t hold against AK and she ended up being the first player eliminated on the final day, finishing 9th for CNY 91,000 (USD 13,600). The heads-up battle was fought out between Yang Yun and Li Xiao-Xiang. The latter held a staggering 12:1 chiplead and could bring the tournament to a close by snapping off Yang Yun’s all-in bet with his pocket sevens. Yang rolled over J8 and the board with K256K brought no help to win this flip. 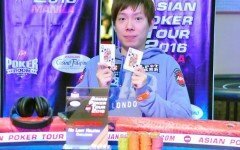 He takes home a runner-up prize of CNY 591,800 (USD 88,400). Li’s wife will be happy about the title, the trophy, but especially about the CNY 868,200 (USD 129,700) first prize money. 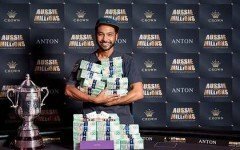 Although we have found our new Asia Poker League Champion the festival hasn’t came to the end. 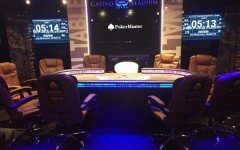 More updates to follow on Somuchpoker.